Cisco® Catalyst® 2960-L Series Switches are fixed and smart-managed Gigabit Ethernet switches that provide enterprise-class access switching for branch offices, out-of-the-wiring-closet applications, and critical Internet of Things (IoT) deployments, as well as small and medium-sized businesses. They operate on Cisco IOS® Software and support simple device management and network management via Command Line Interface (CLI) as well as an on-box web interface. Catalyst 2960-L Smart Managed Switches are secure, reliable, enterprise grade switches built for small office deployments. These switches can be configured and managed via an on-box web interface allowing customers a quick and reliable way to get a small branch or office network up and running within minutes. These switches also feature limited CLI support for troubleshooting and monitoring. The Cisco Catalyst 2960-L Series and 2960-L Smart Managed Switches are fully managed switches that offer advanced Layer 2 and basic Layer 3 features as well as Power over Ethernet Plus (PoE+) power. These switches deliver enhanced network security, network reliability, and operational efficiency. Cisco Catalyst 2960-L Switches include a single fixed power supply. Table 1 shows configuration information. All Cisco Catalyst 2960-L Series Switches support an enhanced version of Cisco IOS LAN Lite software image. For more information about the software features supported on the Cisco Catalyst 2960-L Series, please refer to the Cisco Feature Navigator: https://tools.cisco.com/ITDIT/CFN/jsp/index.jsp. ● Cisco Network Plug and Play is supported using the Cisco Application Policy Infrastructure Enterprise Module (APIC-EM) and Cisco DNA Center on Cisco Catalyst 2960-L Series Switches. This provides a simple, secure, unified, and integrated offering for enterprise network customers to ease new branch or campus device rollouts or for provisioning updates to an existing network with a near zero-touch deployment experience. For detailed information about APIC-EM-based Plug-and-Play capabilities, please refer to Cisco Network Plug and Play. 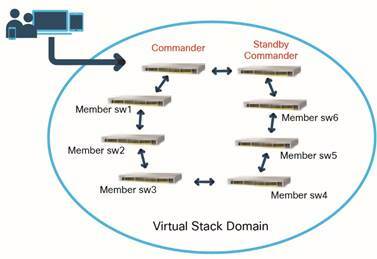 Licenses have to be purchased for using the Cisco Prime Infrastructure, Cisco Network Plug and Play, or Cisco DNA Center network management solution. Cisco Catalyst 2960-L Switches support both IEEE 802.3af PoE and IEEE 802.3at PoE+ (up to 30W per port) to deliver a lower total cost of ownership for deployments that incorporate Cisco IP phones, Cisco Aironet® wireless access points, or other standards-compliant PoE and PoE+ end devices. PoE removes the need to supply wall power to PoE-enabled devices and eliminates the cost of adding electrical cabling and circuits that would otherwise be necessary in IP phone and WLAN deployments. The Cisco Catalyst 2960-L Switches PoE power allocation is dynamic, and power mapping scales up to a maximum of 370W of PoE+ power. Intelligent power management allows flexible power allocation across all ports. With Perpetual PoE, the PoE+ power is maintained during a switch reload. This is important for critical endpoints such as medical devices and for IoT endpoints such as PoE-powered lights, so that there is no disruption during a switch reboot. ● 802.1x support with Network Edge Access Topology (NEAT) extends identity authentication to areas outside the wiring closet (such as conference rooms). ● IEEE 802.1x User Distribution enables you to load-balance users with the same group name across multiple different VLANs. ● Disable per-VLAN MAC learning manages the available MAC address table space by controlling which interface or VLANs learn MAC addresses. ● AAA command authorization in plug-and-play (PnP) to enable seemless PnP provisioning. ● MAC authentication bypass and Webauth with downloadable ACLs allows per-user ACLs to be downloaded from the Cisco Access Control Server (ACS) as policy enforcement after authentication using MAB or Web authentication in addition to IEEE 802.1X. ● Web Authentication redirection enables networks to redirect guest users to the URL that they had originally requested. ● IP Source Guard restricts IP traffic on nonrouted, Layer 2 interfaces by filtering traffic based on the DHCP snooping binding database or manually configuring IP source bindings. ● SSHv2 allows use of digital certificates for authentication between user and server. ● Link State Tracking binds the link state of multiple interfaces. The server NIC adapters form a group to provide redundancy in the network. When the link is lost on the primary interface, network connectivity is transparently changed to the secondary interface. ● Up to eight egress queues and two thresholds per port, supporting egress bandwidth control, shaping, and priority queuing so that high-priority packets are serviced ahead of other traffic. ● Ingress policing allows the analysis of IP service levels for IP applications and services using active traffic monitoring - generating traffic in a continuous, reliable, and predictable manner—for measuring network performance. The number of ingress policers available per port is 64. ● QoS through Differentiated Services Code Point (DSCP) mapping and filtering. ● Trust Boundary to configure device-based trust. ● Auto-QoS simplifies the deployment of QoS features. For more information on features supported on the intuitive Web-UI for Cisco Catalyst 2960-L Switches, refer to the Cisco Catalayst 2960-L Smart Managed Switches Configuration Guide.